If you were interested in a particular episode - click on the episode below and learn more about our guests and how they have helped change the world! PODCAST #19 - TIMOTHY D. LUDWIG, PH.D.
PODCAST #22 - TODD CONKLIN, PH.D.
PODCAST #49 - IVAN PUPULIDY, PH.D.
Tony is a specialist in the field of human error risk management for mostly industrialized enterprises. Tony is the author of Risk-Based Thinking: Managing the Uncertainty of Human Error in Operations (2018). Tony’s recent clients include U.S. DOE, Amgen, Babcock and Wilcox (B&W), Biogen, SI Group, PPL EU, and General Electric. Before starting his business in 2007, Tony was employed by the Institute of Nuclear Power Operations (INPO) from 1985 to 2007. INPO, sponsored by the commercial nuclear industry, is an independent, nonprofit organization whose mission is to promote the highest levels of safety and reliability in the operation of nuclear electric generating plants. While at INPO, Tony developed his expertise in human and organizational performance, which has applicability to any human endeavor especially hands-on work. He developed extensive guidance for the nuclear electric generating industry around the world as well as the U.S. Department of Energy. In 2003 and 2004, Tony served a temporary assignment from INPO at Tennessee Valley Authority (TVA) as TVA's lead for human performance, overseeing human performance initiatives at all TVA nuclear stations (Browns Ferry, Watts Bar, and Sequoyah nuclear plants). Before joining INPO in 1985, Tony trained nuclear plant operators as a control room simulator instructor at Farley Nuclear Plant from 1983 to 1985, while employed by Westinghouse Electric Corporation. Tony certified as a senior reactor operator instructor in 1983. Captain Muschara, USN-Ret., served seven year’s active duty in the U. S. Navy submarine service. While on active duty, Tony was qualified as an “Engineer of Naval Nuclear Propulsion Plants,” by Naval Reactors during the Admiral H. G. Rickover tenure. In 2000, Tony retired from the U.S. Naval Reserve with the rank of Captain (O6). Tony holds a Master’s Degree in Business Administration (MBA) from Kennesaw State University (1989) and a Bachelor of Science degree in general engineering (mechanical) from the United States Naval Academy (1975). I have been married to my best friend, Pam, for 42 years. We have three grown children and seven grandchildren, all living in north metro area of Atlanta. Pam and I are for the most part retired from regular employment, while I still consult periodically. Both of us enjoy our grandchildren, while I enjoy hiking and backpacking. Dedicated to empowering leaders to excel in diverse cultures/environments, I enable them to become the leaders they are meant to be. I am passionate about coaching leaders through change management, strategic communication, self-promotion, and personnel inspiration. Successful in positioning global leadership to meet and surpass even the most ambitious personal/professional goals, I am an inspiring public speaker and respected thought leader. Throughout my career, I’ve earned respect for building many groundbreaking women’s leadership groups, helping women to grow their careers and navigate male-dominant organizations. I’ve taught leaders how to steer teams through change management, customer engagement and maximizing productivity that deliver amazing results. PODCAST #59 - SHELDON PRIMUS, OSHA S.M.E. Sheldon Primus is a Certified Occupational Safety Specialist with a Master of Public Administration (MPA) with a concentration in Environmental Policy. He has been in the environmental and occupational safety field since 1994. Additionally, he is a trainer for the Certificate for Occupational Safety Managers (COSM) and Certified Occupational Safety Specialist (COSS) programs of the Alliance Safety Council-Baton Rouge, Louisiana. He is the author of “7 Steps to Starting A Profitable Safety Consulting Business”. Mike has taken his education in counter-terrorism and public administration to help people understand what drives their behavior and the behavior of others. Mike’s weekly podcast, The Crucial Talks Podcast, provides valuable information on human behavior and has been downloaded thousands of times by people across the world including in the U.S., Canada, Australia, New Zealand, and China. Mike is a commander in a large law enforcement agency. In addition, Mike is also a Senior Advisor for Government Integration, serves as an Accreditation Commissioner, leads a multi-agency coordination group, and co-chaired a Federal Aviation Administration rule-making committee. Mike not only has experience as a leader, he has experience as a pilot, safety officer, and fleetwide maintenance coordinator. Katie Romo has been a safety professional in manufacturing for 6 years. Through her people-first approach, Katie works to improve safety culture and empower all at her organization to be engaged in safety. She has a master's degree in safety and an ASP certification. Over the last 35 years, Mr. Storer invented a patented safety product that has helped keep workers safe around the World, founded a company that appeared on ABC’s Shark Tank, driven sales programs for multi-billion dollar, Fortune 500 companies and served as an elected official for more than a decade. Leaving the corporate world in 2016, Mr. Storer and his wife founded Night Tech Gear, an innovative safety product company for work and play. Night Tech Gear developed the patented shoe light technology used in Night Runner, Night Trek and Night Shift Shoe Light brands. They have been featured on Shark Tank, Good Morning America, The Today Show, Forbes and nearly 100 other global media outlets. Since their launch they have sold products in more than 50 countries around the world. Their complete line of products meets today’s 24/7 demand of working, fitness and chasing your adventure. Rob spent almost ten years in the US Navy before working at the South Texas Nuclear Project for twelve years. During this time, he worked in Operations, Chemistry, & Environmental and ultimately owned the Human Performance Improvement initiative and the Procedure Program through a difficult plant recovery time. In addition, he was also utilized as an industry internal consultant in these areas. Rob has been consulting since leaving commercial nuclear power operations in 1996. 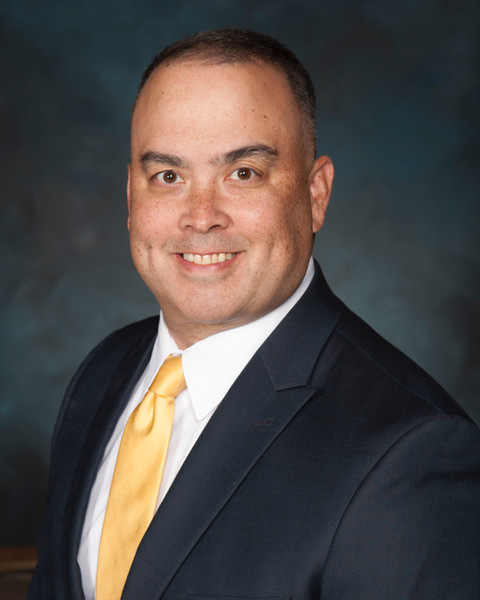 He is currently the President and Director of Operations for Fisher IT, Inc. (FIT), a US Based, Native-American and Veteran-owned business headquartered in Concord, NC. FIT has been involved in developing multiple industry international standards for human and organizational performance, incident analysis and procedures. FIT is internationally recognized for their work in reducing fatalities and serious / life altering injuries. We have successfully partnered with over one hundred companies in various fields including manufacturing, petrochemical, power generation (nuclear and non-nuclear), power transmission and distribution, and numerous Department of Energy sites. FIT consults internationally in Australia, Brazil, Canada, England, France, Spain, Russia, China, and many others. Rob is a sought-after executive mentor, coach and trainer, and is routinely invited to speak at international and regional conferences on procedures, performance improvement, safety, and event analysis. Rob has extensive experience in performing incident / event analyses, designing performance improvement systems, designing and improving corrective action programs, assessing, designing and running procedure programs, and educating staff at all levels of the organization. As a previous field and management owner of these areas, he brings an implementation mentality to consulting, along with a recognized capability to make the science practically applicable at all levels. If you have any follow-up questions regarding our capabilities, or if you would like to contact Rob for any other reason, he can be reached via email at Rob.Fisher@ImproveWithFIT.com . Ivan Pupulidy applies his experience and research to operations in complex system and high-risk environments, such as wildland firefighting, aviation, military and medicine. As a U.S. Forest Service Director, Ivan developed and implemented the Learning Review, which is a process designed to improve how large and small organizations respond to accidents and incidents. The Learning Review is centered on understanding and mapping systemic conditions that influence human actions. Ivan’s ability to integrate academic research with real world application comes from his varied life experiences, which have included work as a mine geologist, exploration geophysicist, and a U.S. Coast Guard pilot for rescue and law enforcement missions. Ivan served in the U.S. Air Guard and Air Force Reserves, where he flew the C-130 Hercules, including missions as a Modular Airborne Firefighting System (MAFFS) tanker pilot on wildland fires. He also served on active military operations for combat and humanitarian support in Iraq, Afghanistan and Central Africa. Ivan earned a Master’s of Science degree in Human Factors and Systems Safety at Lund University, Sweden, under Professor Sidney Dekker. He completed his PhD in Social Science at Tilburg University, Netherlands. He now brings his academic credentials and real-world experiences to the University of Alabama as an Adjunct Professor. Ivan is an international consultant and organizational coach who focuses on topics related to human factors, Organizational Culture, real-time risk perspectives, HOP, learning from events, organizational dialogue, development of high-leverage learning products, and the connection between resilience & high reliability organizing. Ron Gantt is Director of Innovation & Operations at Reflect Consulting Group, a management consulting firm located in San Ramon. He has 17 years experience working with large and small organizations in industries such as construction, utilities, biotech, and chemical manufacturing. Ron has undergraduate degrees in safety and psychology and a graduate degree in safety engineering. He is a Certified Safety Professional and a Certified Environment, Safety and Health Trainer. Ron is also owner and contributor at SafetyDifferently.com. Serendipitously entered the occupational safety and health field in 1994 because Minnesota OSHA draws interview candidates from the same list as the Pollution Control Agency. LOVED working as a CSHO and learning/practicing OSH from OSHA's perspective. During that time, I also spent a year as a product manager/subject expert for air filtration line of equipment. In 2001, up-rooted my family to attend graduate school at UW-Madison. While in graduate school, was fortunate to be working part-time as a risk manager at the WI Dept of Health and Family Services (primarily performing OSH duties for mental health and long-term care facilities throughout WI). Upon completing of my PhD in August 2007, started my first faculty position at the University of Minnesota Duluth. In 2010, took advantage of an opportunity to return to Southern Wisconsin and now work at the University of Wisconsin-Whitewater. I am very involved with the American Society of Safety Professionals (ASSP). Specialties: Job and work system analysis, workforce perception surveys, identification of critical system and policy incongruencies, integration of safety and quality management, re-engineering for optimal safety, ergonomics, and performance. President of Human Performance, Root Cause, and Trending an association that sponsors an annual conference that fosters learning and open sharing regarding incident prevention, incident response and analysis, and operational learning across the spectrum of member organizations. Recognized as an entrepreneurial thinker that builds autonomous functioning teams that have ownership in quality outcomes. I have driven change with Sr. leadership, business partners, and internal support organizations. I have served as a consultant, coach and educator to leaders and employees at some of the world's best High Reliability Organizations. I have a passion for Human Performance, behavioral science, organizational & cognitive psychology, and workforce engagement. I am able to identify, plan and deliver key business results related to process efficiencies, reliable operations, human error reduction, and Just Culture. I passionately apply the art and disciplines of human error reduction, process improvement, and Just Culture to dramatically influence the cultural climate, KPIs, and bottom line. Cary Usrey has been an Implementation Manager at Predictive Solutions since March 2007. In this role, Cary is responsible for implementing training solutions and best practices for customers seeking to prevent worker injuries and reduce potential liabilities. He coaches customers through an assessment, goal-setting, and goal measurement process that is designed to maximize safety improvement and widespread organizational engagement, from the field to leadership. Cary started his career in the U.S. Navy's Nuclear Power Program. After leaving the Navy, he served as the Environmental, Health and Safety Compliance Director at Adirondack Resource Recovery Associates, a waste-to-energy power plant in upstate New York, where he was employed for over twelve years. Following this, Cary took a position with Turner Construction, where he served as the Business Unit Safety Director for the upstate New York office for approximately three years. Cary has graduated with his Associate's Degree in Occupational Safety and Health from Trinidad State Junior College in Colorado, is a member of the Central FL chapter of the ASSP, and has served on the Board of Directors for the VPPPA (Region II). Andrea Baker started practicing and teaching HOP principles while working for one of the largest multinational industrial companies in the world. As an environmental health and safety leader of manufacturing, assembly and distribution facilities, she worked through the complexity of adopting HOP principles from the ground up. In 2014, she was named the HOP leader for one of the company sectors. She taught HOP Fundamentals and Learning Teams around the US and helped develop and implement strategies to anchor the concepts in existing operating rhythms. She began extrapolating these strategies to a larger scale, and in 2015 became the HOP Senior Expert for the company's 300+ multi-sector locations in Europe. In this position, she coached fatality and serious incident investigations while continuing to train and develop culture change strategies to help embed HOP principles into industrial day-to-day activities. Jim Frederick has worked with the United Steelworkers (USW) International Union since 1994 in the Health, Safety and Environment department. Jim is currently the assistant director of the HSE department. In addition, Jim coordinates the work of the USW’s Tony Mazzocchi Center for Worker Health and Safety Education and several federal grant programs. He is an experienced union health, safety and environment representative engaged with workers, unions,employers, regulators and law makers to improve workplace conditions, the health and safety management systems in workplaces, as well as the framework that ensures protections remain in place. Jim acts as an advocate and technical resource to the local unions of the USW on health and safety issues. The work of the department focuses on providing workplace health and safety assistance, assisting local unions with health and safety contract provisions, participating in government regulatory activity and rulemaking, and developing and delivering occupational health, safety and environmental training programs for union members and employers. Jim has a Bachelor of Science degree in environmental health and industrial hygiene and a Master of Science degree in environmental health and safety management. Mark G. Gardner, CEO of Avatar Management Services, is dedicated to making the world a safer place by helping people have fewer accidents and injuries. He is the founder and CEO of Avatar Management Services, Inc., an international services firm that creates custom safety and risk management processes for business and industry. These independent companies provide employee recruitment, selection, and hiring protocols, education, and training curricula and performance support systems, for their respective niche markets. Under Gardner’s direction the Avatar companies have produced thousands of management tools used by dozens of Fortune 500 firms to improve the work performance of more than one million people. Gardner is a prolific writer, instructional designer and human performance expert. He is an engaging and entertaining public speaker and has a passion for sharing his insights with forward thinking professionals. Prior to forming the Avatar companies, Gardner had a distinguished career in corporate America, holding executive positions within Progressive Insurance and Ryder/P*I*E Nationwide. View the video below for a sample of innovative training produced by Avatar Management Services. We know you will learn something and remember what you learned! Motivational Speaker, Author & International Speaker. President Global Training Edge Inc.
Management Consulting. Responsibility: Manage all aspects of Global Training Edge Inc. (GTE) consulting and training operations in Canada and internationally. Including: business development, government liaison, product development, directing staff and consulting group. lead and motivate to meet yearly budgets and business plans. We provide training and consulting services on a wind range of topics including: Safety Management System (SMS) implementation and assessment (using various auditing tools and techniques). Safety Training, Incident Investigation and Due Diligence for Managers & Supervisors( Certificate Program) in partnership with Safety Services Nova Scotia (SSNS). Our Cultural Safety Process includes: 7 Safety Habits “That Could Save Your Life” the World’s First Safety Self-Help Book. It is designed to evaluate the organizations safety culture and individual safety habits. The implementation process includes: leadership Training, Steering Team Training, Train the Trainer and ongoing support throughout 3 stages of implementation. Aim cultural change and incident reduction. Over the past 10 years, Denny has worked with To Write Love on Her Arms, sharing his story of hope and recovery from heroin addiction at colleges, high schools, and communities across the US, Canada and U.A.E. He has dedicated his life to bringing healing to families and communities affected by the American Opioid Crisis. Shelley grew up in the Pacific Northwest and now resides in Fort Collins Colorado with her husband Daren and three daughters Jessica, Erica and Valerie. In 2008 Shelley’s family was struck by tragedy forever impacting their lives. She became an instant advocate for distracted driving awareness and shares her safety message to thousands of adults and students throughout the United States and abroad. Shelley launched a Non-profit called “FocusDriven Advocates for Cell Free Driving” to educate the public on the deadly issue of distracted driving. This led her into motivational speaking. She took her message to the media and has been on featured on Oprah Winfrey, Larry King Live and CNN nightly news. PODCAST #32 - PAUL COMFORT, ESQ. An expert on transportation infrastructure and transit trends, Paul Comfort, Esq., former Administrator and CEO of the Maryland Transit Administration (MTA), most recently led a revolutionary change from a 50-year-old antiquated transit system to the world-class BaltimoreLink, an efficient, high-frequency, high-tech bus line with priority signaling, in Maryland. As head of the MTA, he was hired to lead the 11th largest transit system in America, with more than 5,000 employees and contractors and a $1.4 billion annual budget. Comfort has spent a career in public transit and local government, having served as County Administrator for two suburban counties in Maryland and was elected as a Queen Anne’s County Commissioner. He has also worked in business development and operations management for many public and private transit operations. Prior to being hired to lead the MTA in 2015, Comfort led the day-today operations of the nation’s fourth largest paratransit system for MV Transportation — the contractor that runs the transit service for the disabled offered by the Washington Metropolitan Area Transit Authority. Last November, he was awarded one of the nation’s top individual awards for leadership in the public transportation arena when the American Association of State, Highway and Transportation Officials (AASHTO) named him the 2016 winner of the prestigious President’s Award for Public Transportation. An attorney and member of the Maryland Bar, Comfort’s keen mind and sharp wit make him an excellent speaker and subject matter expert on all things transportation and transit-related from creating brand new reverse commuter bus routes taking inner city Baltimore residents to jobs at Aberdeen Proving Grounds to his leadership in testing autonomous vehicles in Maryland and his involvement with the proposed new Mag Lev train line between Washington, D.C. and Baltimore that could cut travel time between these two cities to 15 minutes. Finally, Comfort has demonstrated strong leadership for the industry serving as a board member and in top member-elected leadership positions for the American Public Transportation Association (APTA) including his current position on the Board of Directors. Dr. Kevin Rindal has 12 years of experience working in the clinical setting with over 35,000 patient encounters focused on treating musculoskeletal injuries. During this time, he has focused on developing innovative ways to help clients recover faster, prevent injuries, and enhance performance. Through his experience in working with the US Olympic Team and various other professional athletic teams, Dr. Rindal has developed a system of best practices that elite athletes around the World use to keep their bodies functioning at their peak. Dr. Rindal has a passion for working with industrial workers and those whose livelihoods depend on their ability to stay healthy. 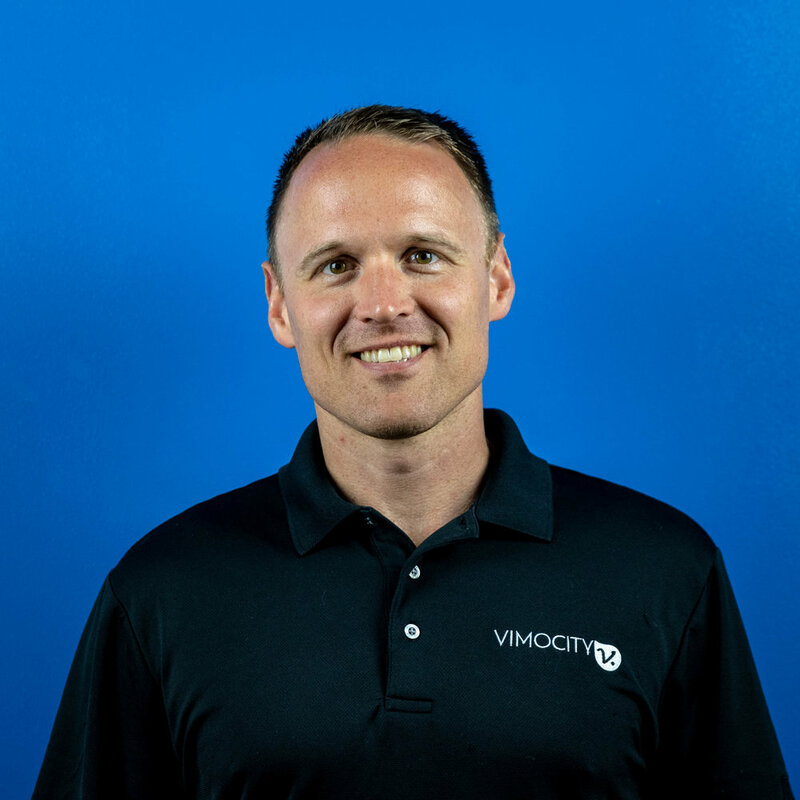 Over the past four years, he and his team have developed ways to apply best practices from sports injury prevention to reduce injuries among “Industrial Athletes.” To aid this pursuit, he founded Vimocity as a means for companies to reduce workplace injuries, increase employees’ quality of life and foster engagement. Dave Sowers is a founding member of Knowledge Vine; a Human Performance Training and Consulting organization. Dave has almost 30 years of experience in power generation and the utility industry. He started his career in the U.S. Naval Nuclear Power Program where he served aboard the aircraft carrier USS George Washington (CVN-73). After the Navy, Dave started working in commercial nuclear power as an operator and trainer in New Jersey and Louisiana. Dave returned to government service with US Army Corps of Engineers at a hydro-electric dam in Alabama. Throughout his career, Dave has served in many diverse roles including Plant Operator and Trainer, Emergency Responder, Control Room Supervisor, and Power Plant Manager. In addition to the technical training received in the US Navy, Dave has a Bachelor of Science degree in Resources Management from Troy University, a Master of Science in Management degree from Troy University, and a Master of Science in Emergency Management and Homeland Security from George Washington University. Dave’s work and education experience gives him a unique perspective and the ability to bridge the gaps between an organization’s frontline workforce and their management team. Since he has lived Human Performance from both perspectives he is an effective, relatable, and credible communicator of its principles and methodologies. Knowledge Vine LLC was founded in 2014. The company is uniquely experienced in the methodologies and techniques of human performance systems which have been used in commercial nuclear power operations for more than three decades. Knowledge Vine had developed their own proven process that can help any organization increase performance. They are dedicated to teach the applicability of Human Performance Improvement anywhere in the world. Knowledge Vine, LLC is a full-service, third party provider of safety oversite and technical human performance training dedicated to shaping human and organizational behavior. They teach processes that reduce frequency and lower severity of human error both at the individual and system level of organizations. After training is provided, Knowledge Vine is there in the field with the end-user to deliver coaching and mentoring to ensure their processes are understood and techniques are applicable to the work being done. Joe Balas the principal consultant at Human Factors Safety, has over 20 years of experience in the medical safety, aviation safety, OSHA safety, system safety and human factors engineering fields. Human Factors Safety (HFS) is a human centered, operations focused safety service. Regulatory safety strategies, methods and tools concentrate on employing a process based solution to ensure employee health and safety. Regrettably, this conventional approach rarely addresses or takes into account many of the underlying human performance factors that can contribute or could prevent an accident or incident from occurring. HFS recognizes this shortfall in identifying the human performance factors needed and then applies proven Human Factors principles to your existing safety compliant strategies, methods, and tools. HFS services apply to a variety of industries: Construction, Emergency Services, Healthcare, Hospitality, Logistics, Professional Services, Manufacturing and Transportation. Selecting HFS brings added value to your safety program by mitigating the human performance gaps not addressed or considered in conventional safety strategies, methods or tools. The outcome is enhanced prevention of human injury and illness and reduced operational risk and cost. This article written by Joe explains clearly how human fatigue and sleep loss greatly affect safety in the transportation industry. Recent presentations include ideas on how to make changes in companies from what is considered the traditional views of safety concerns, which are becoming outdated and ineffective, to the new Human Performance Safety Theory. This theory invites administration, management and workers to come together to look at systems that lead to accidents and make changes before the accidents occur. Dr. Conklin has his BA in Communication, Southwestern College, Kansas, an MA in Interpersonal Communication, Fort Hays State University, and a Ph.D in Organizational Communication,University of New Mexico. He currently has his residence & office in Santa Fe, NM and travels worldwide doing consulting and training in organizational development and Human Performance Safety. During his career he has attended countless training sessions, provided myriad hours of training, and mentored many up and coming safety managers. While his passion is oriented on safety and sustaining a culture of safety within any organization he is partnered with. He is also dedicated to focusing on leadership and mentoring others within the industry. Steve maintains relationships with safety professional in many different industries and continuously strives to learn best practices and share his experiences to assist others along the safety journey. Dr. Ludwig is the author of dozens of scholarly articles that empirically document the successes of methods to improve safety and quality in industry through behavior-based solutions. His books include Intervening to Improve the Safety of Occupational Driving, Behavioral Systems: Understanding Complexity in Organizations, Behavioral Science Approaches to Process Safety: A Response to Industry’s Call (in press), and Dysfunctional Practices that Kill your Safety Culture (just published). He has over 30 years experience in research and practice in behavioral safety where he integrates empirical findings into his safety consulting. Within his consulting practice Dr. Ludwig has helped assess, design, and implement safety and quality improvement programs in: Oil and Gas (Schlumberger, Husky Energy, Marathon Petroleum Company), Transportation (Union Pacific), Mining (Newmont, Alpha Natural Resources, DRA of South Africa), Manufacturing (Newell Rubbermaid, Corning, TRW Automotive, Nucor Steel, Fairbanks Morse Engine, Andersen Windows, Kimberly Clarke, Timbar, FMC Corp., Albany International, Eastman Chemicals, CertainTeed, Boyles Furniture) Construction (Costain, USI, S&ME, DRA), Utilities (Arizona Public Service Company, Tennessee Valley Authority, Connectiv Energy), Food Distribution (SuperValu, National Grocers of Canada, MDI, Domino’s Pizza,), and Government (NASA, US Navy-Naval Sea Systems Command, US Navy-Space Warfare, US Department of Energy, US Department of the Interior). He also has provided his expertise in Behavior Systems Analysis, Strategic Planning, and Quality Improvement to numerous private and government organizations. E. Scott Geller, Ph.D. is a Senior Partner of Safety Performance Solutions as well as an Alumni Distinguished Professor at Virginia Tech where he directs the Center for Applied Behavior Systems. As a partner with Safety Performance Solutions (SPS), Dr. Geller and his colleagues have worked since 1994 to help 100’s of organizations within the U.S. and abroad. SPS specializes in the ‘human dynamics of safety’, an area they term People-Based Safety (PBS). PBS encompasses the fields of behavior-based safety (BBS), human and organizational performance (HOP), human performance improvement (HPI), industrial psychology, human-factors engineering, organizational culture change, leadership development, and more. By applying PBS concepts and tools, SPS helps clients build solid safety cultures, highly reliable and resilient work environments, strong safety leadership, efficient and effective safety management systems, and an engaged workforce that enables their organization to achieve world-class safety performance. For five decades, Professor Geller has taught and conducted research as a faculty member and director of the Center for Applied Behavior Systems in the Department of Psychology at Virginia Tech. He has authored, edited or co-authored 43 books, 87 book chapters, 39 training programs, 259 magazine articles, and more than 300 research articles addressing the development and evaluation of behavior change interventions to improve quality of life and well-being on a large scale. His recent 700-page textbook: Applied Psychology: Actively Caring for People, defines Dr. Geller's entire research, teaching, and scholarship career at Virginia Tech, which epitomizes the VT logo: Ut Prosim—"That I May Serve". In 2017, ASSE published Actively Caring for People’s Safety: How to Cultivate a Brother’s/Sister’s Keeper Work Culture by E. Scott Geller and his daughter, Krista S. Geller, PhD. This research-based teaching/learning manual was designed to help organizations customize an evidence-based process that involves employees in routinely looking out for the safety of themselves and others with a self-motivation mindset. Dr. Geller is a Fellow of the American Psychological Society, the Association for Psychological Science, the International Association of Behavior Analysis, and the World Academy of Productivity and Quality Sciences. He is past Editor of the Journal of Applied Behavior Analysis (1989-1992), and current Consulting Editor for Behavior and Social Issues, the Behavior Analyst Digest, the Journal of Organizational Behavior Management, and the Journal of Safety Research. In 2005, he was awarded the statewide Virginia Outstanding Faculty Award by the State Council of Higher Education, and Virginia Tech conferred the title of Alumni Distinguished Professor on him. Professor Geller has received lifetime achievement awards from the International Organizational Behavior Management Network (in 2008) and the American Psychological Foundation (in 2009). In 2011, the College of Wooster awarded Dr. Geller the Honorary Degree: Doctor of Humane Letters. Actively Caring About People - Join the movement! “Inno Combs.” Born and raised in Brooklyn, New York, Antonio “INNO” Combs always had bold dreams of making it big in the world of entertainment and music. He spent most of his childhood attending talent and showcase events. During the year 2000 at the age of 13 he moved to Orlando, Florida. He attended Teague Middle School. That’s where he found a passion for music. Later on in life Inno was forced into a battle with cancer at the age of 21. Though he won that battle it was a turning point in his life back into the world of hip hop. From humble beginnings, “Inno” is a young and diverse hip hop artist oozing with talent, charisma, energy, his pure love for musical originality, while at the same time offering his own distinctive style of lyrical expression. I grew up in small town rural Iowa with mom (Sherry), dad (Joe), and my two baby sisters (Cassie and Amber). We didn’t have a lot, but our parents always seemed to find a way, sometimes working 2-3 jobs each to make sure we had enough. Looking back, it was a humbling childhood, but what I think affected me most was my mother’s affection and selflessness towards all of us. She always put her children first, no matter what the sacrifice. If we wanted some stupid toy for Christmas, she would work the overtime or pick up an extra shift. She didn’t care what it took, she just wanted us to be happy. As a songwriter and up-and-coming artist, I feel that I have an obligation to be a positive role-model, and to also give back by utilizing the gifts that God has blessed me with. In realizing the importance of this, I finally found the courage to write a song about my experience, called “Blank Stares“. My vision is that this song will raise awareness, bring hope to those affected, and most importantly, become a weapon in the fight against Alzheimer’s.